Rolling Hills Honda is your St. Joseph, MO new and used car dealership. Welcome to Rolling Hills Honda Serving Saint Joseph, Savannah, Dearborn, and Cameron. There are plenty of vehicles here in our new Honda Civic, Accord, HR-V, CR-V or Odyssey lineup that will grab your attention. When you're drawn in, you can see all the details, features, technology and innovation onboard, and get a full hands-on experience with a test drive. 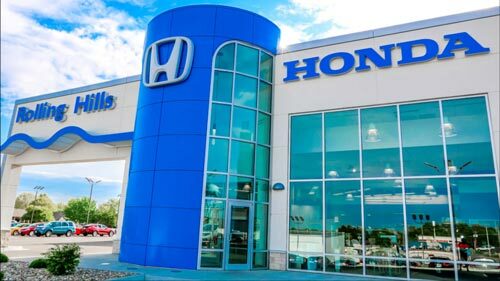 Here at Rolling Hills Honda, we give you all the details to make sure you know every bit about the vehicles you're interested in. We let you take your time to discover each one, and when you find that right fit, you'll know, and we can get the wheels in motion to have you taking it home in no time.